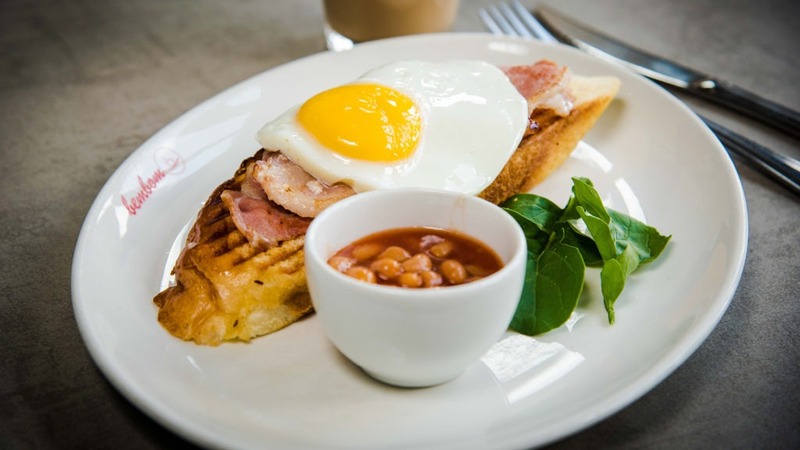 Budget breakfast – One egg with two rashers of bacon on a carcaça toast & baked beans. 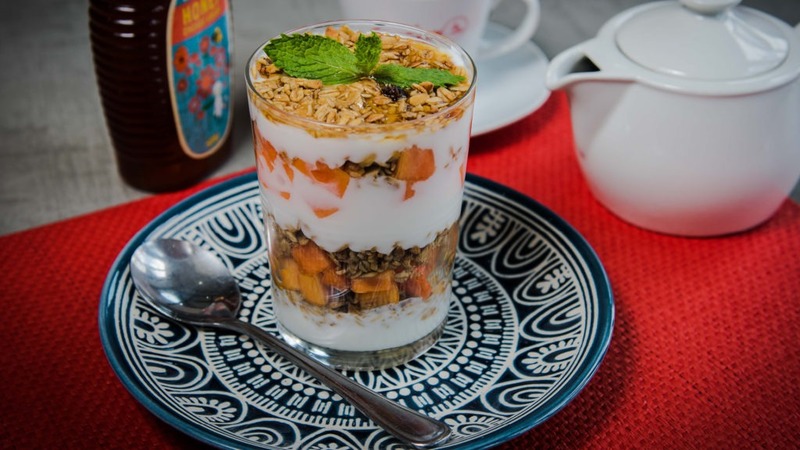 Clássico com Fruta – Layered Muesli, fat free yogurt, honey & paw paw. 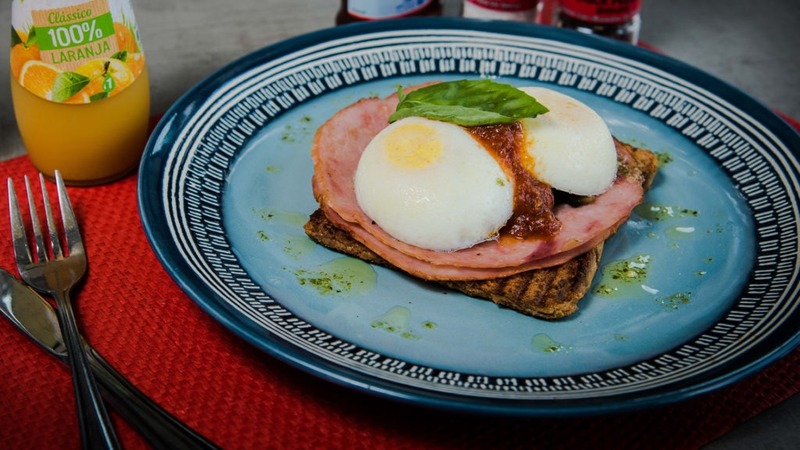 Escalfadinho Florentino – Poached egg, mushrooms, hickory ham & a fresh tomato salsa. 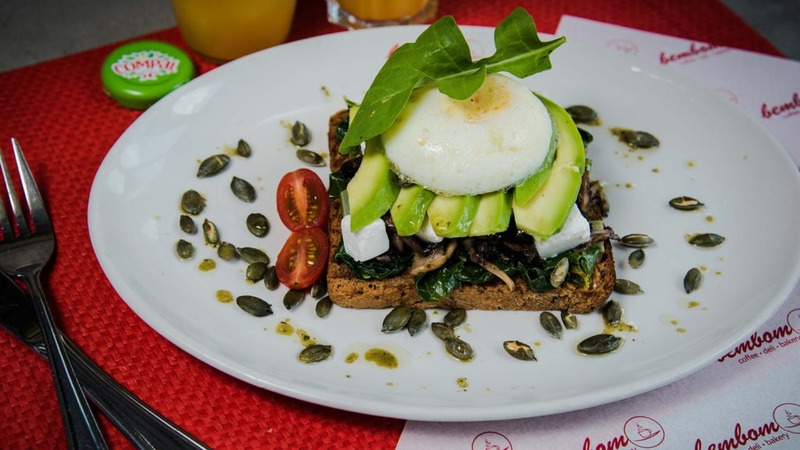 Torre Saudável – Toasted seeded bread, sautéed spinach, grilled mushrooms, avo, pumpkin seeds, basil feta & a poached egg. 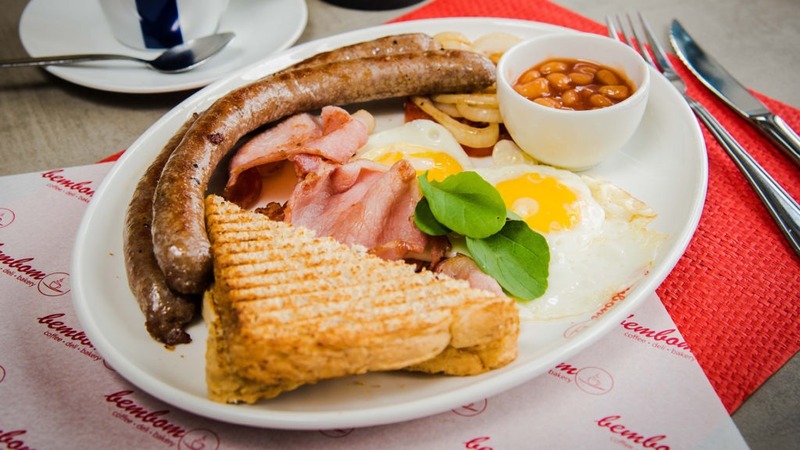 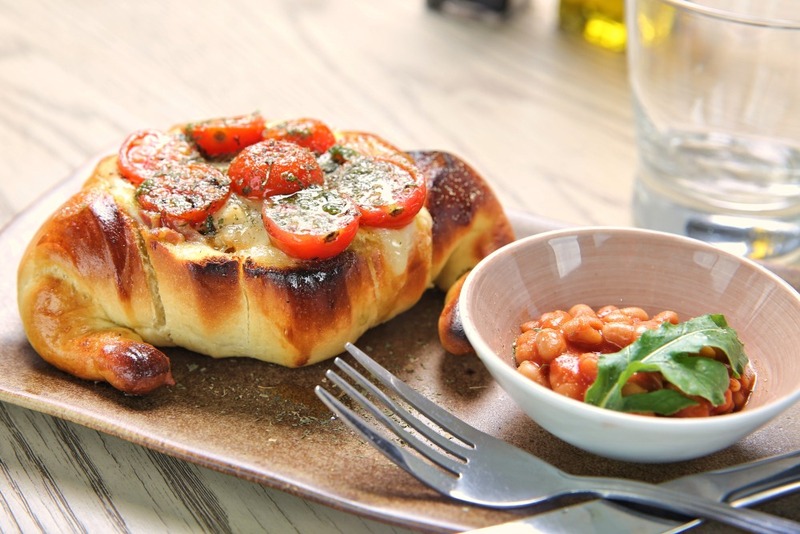 Nacional breakfast – Two eggs, bacon, two beef breakfast sausages, baked beans, grilled tomato & onion. 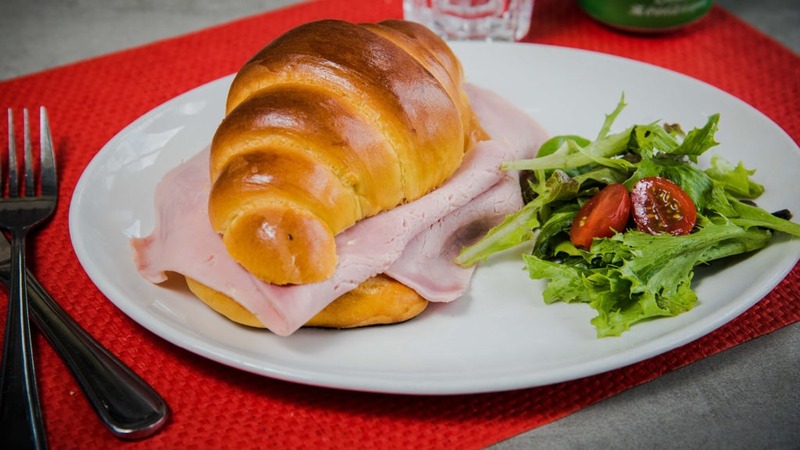 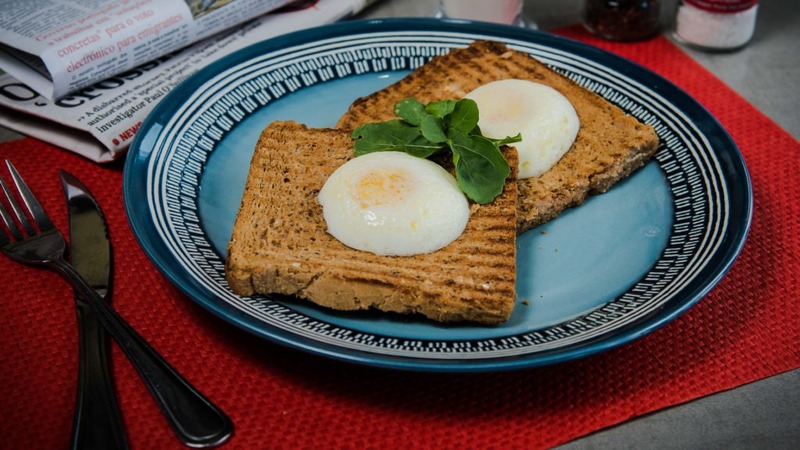 Escalfadinho Simples – Two poached eggs on rye or seeded bread. 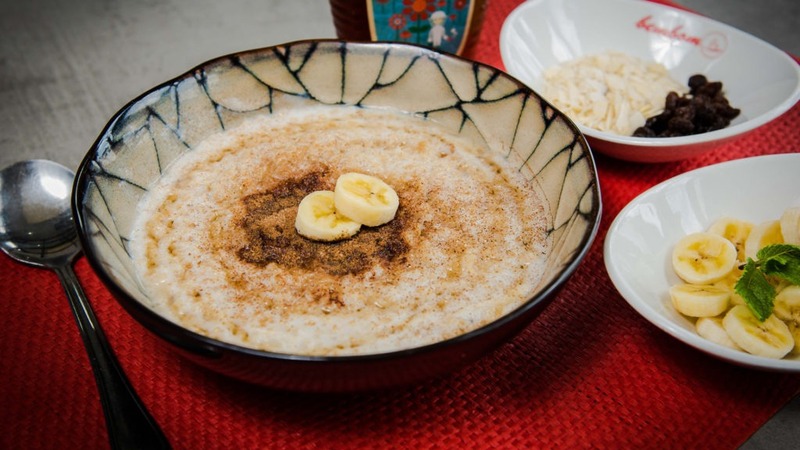 Aveia – Oats, raisins, sliced roasted almonds with cinnamon & honey on the side. 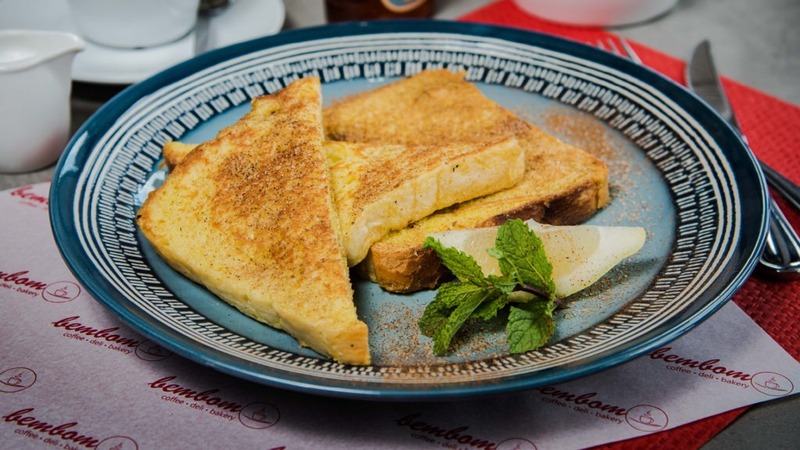 Rabanadas (French Toast) – Two slices of carcaça bread, dipped in an egg batter, fried, tossed in cinnamon, lemon zest & sugar. 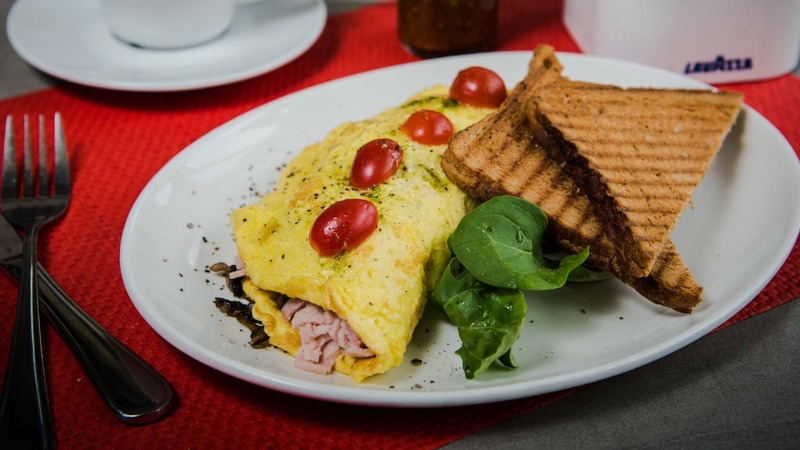 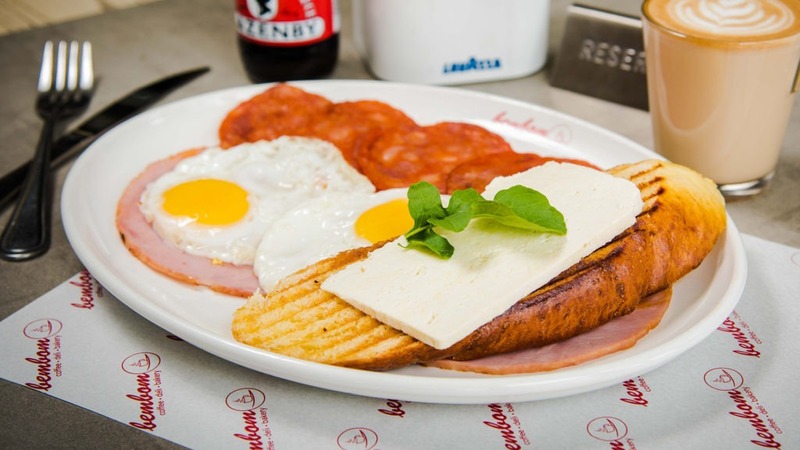 Bem Bom breakfast – Two eggs, grilled hickory ham, “salsichão” & a slice of carcaça toast topped with ricotta cheese. 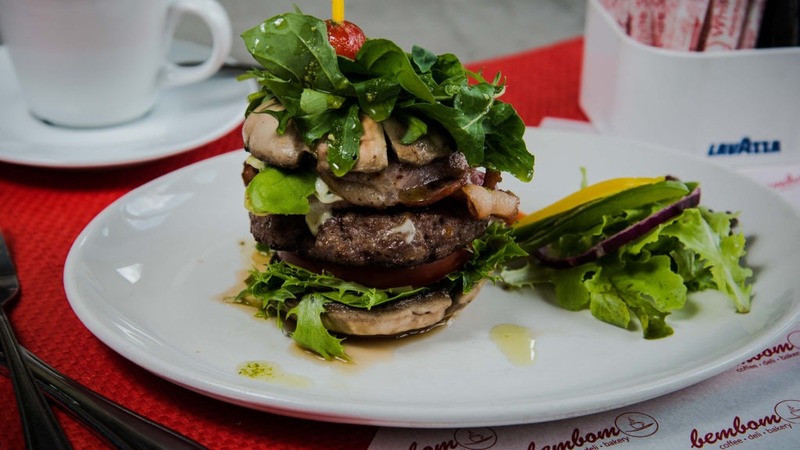 Naked Bun-less Burger – Grilled Big Brown Mushrooms, lettuce, fresh tomato, basil mayo, beef burger, avo, bacon, rocket & pesto.